In contrast to short-term loans, Long Term loans generally offer larger amounts and are paid back over a longer period of time. They are repaid in increments, or Instalment, according to a repayment schedule established between you and your lender. What is the length of a long-term loan? Answer: While “long-term loan” refers to long time, it’s not for a specific amount. The category of long-term loans encompasses a large variety of loan lengths, from months to years.This will vary from lender to lender but typically a longer term loan or personal loan spans 12 months to 5 years. Are long-term loans also instalment loans? Answer:Yes, an instalment loan lets the borrower repay the loan in a series of repayments. The loan isn’t repaid in one lump sum, the loan duration is longer than a short-term loan. Due to their longer terms, long-term loans are also considered installment loans. An installment loan lets the borrower repay the loan in a series of repayments. The loan isn’t repaid in one lump sum, the loan duration is longer than a short-term loan. That said, there can be instances of long-term loans that aren’t repaid in installments. While this is rare, some lenders choose to lend larger amounts over a longer term, while allowing the borrower to repay the full loan amount all at once at the term’s end. Answer: When taking out a loan, the repayment amount depends on a number of variables. Obviously the amount being borrowed is a huge factor for the final repayment, but other factors can contribute, like the fees charged by the lender for their services. The overall cost and term will largely depend on your credit worthiness and ability to repay your loan. 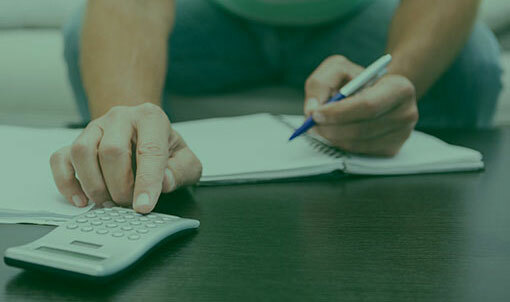 Another important clarification is, “more than what?” When comparing a short-term loan to a long-term loan, it’s likely you will pay more for the latter than for the former, but that’s because longer-term loans are for larger amounts than short-term loans. Does Unsecured Loans 4 U offer long-term loans? and Can I apply for longer term loans through your website? More AboutInstallment Loans and Will having a guarantor help my chances? What if I have bad credit, can I still get a long term loan? Luckily, work with a large number of lenders that cater for all kinds of customers, prime to subprime, so yes, you should still apply. All loans are subject to lender requirements and approval and all lender will have their own approval criteria. Are you concerned about your personal credit history? It may be a good idea to check to see what your credit report and score say but as a general rule of thumb – if you pay your bills on time and haven’t had previous credit issues, you should be fine. Applying is very simple and won’t take you any longer that 2-4 minutes from start to finish, simply click on the apply now button and fill out the straightforward form. Where can I find information about default charges? Each lender will need to provide you with details of how much you expect to pay and what your default charges are. They should disclose all relevant information to you so that you can make an informed decision. If you are unsure about any of the terms relating to your loan contact your lender directly. This varies from lender to lender. All lenders will charge interest, which may be variable or may be fixed, depending on the type of lender and type of loan you have applied for, and some may charge an administration or acceptance fee, again this will depend on the lender you are accepted by. What I Do If I Move House? You have an obligation with the lender to always keep your details up to date, so should you move house, change your telephone number or change your banking details you must let your lender know. Can The Interest Rate Be Variable? The interest rate will depend on your lender and the type of product you’re applying for, as well as your personal circumstances and credit file. Typically an interest rate on a personal loan will be fixed meaning your payments are fixed and will not fluctuate – go up or down. For example, interest rates on credit cards are typically variableThis again is very much down to the each individual companies requirements some moneylenders will allow you to vary your interest rate depending on your busy periods within your year some lenders will even allow you to have one or two month payment breaks over the term of your agreement please note that if they do allow you to do this they will still charge you the interest rate on a monthly basis this will mean the overturning agreement you will pay back extra money. What Happens If I Do Default? There are many options for the lender should you fail to make your monthly payment and default on the agreement. Your loan could be passed on to a debt collection agency who would contact you for the debts. Your lender could also take you to court. Please bear in mind you should always contact your lender should you have any problems with keeping up to your repayments. Will The Payout Be Fast? This has to be the most popular question! Obviously, applicants do not want to be waiting days or weeks, especially when the funds are needed for an emergency or if there is a limited time period on the required usage of the finances. You will normally receive a very quick decision and your loan could be sent to you on the same day as approval or the next working day. How fast you receive your funds may also depend on your bank and if they accept faster payments. Having ‘bad’ credit isn’t the end of the world when it comes to making any kind of finance application, one thing to remember is when it comes to having a poor history you may see that you end up paying a higher interest rate than others. There are other option out there as well for example you can use a guarantor. This will mean the lender is much more likely to lend to you as they have the peace of mind that your guarantor is there to cover payments should you struggle. Do not let a poor score stop your application. The worst that can happen is a lender may offer you a rate that you do not want! You are not obligated to take up any offer you are presented with. This is a very tricky question but the rule of thumb is don’t borrow more than you need, as this will cost you more on your monthly payments and will cost you interest, you should never over stretch yourself. For example you don’t need a little bit extra to have fun with as this will cost you more on your monthly payments and will cost you interest, never ever over stretch yourself! Your income will be checked against your outgoings but you can speed this process up by not overstretching yourself in the beginning. Will Searching For My Loan Affect My Credit? You should remember if you go to twenty different lenders and make twenty different applications you will receive 20 different searches on your file, we would suggest this wouldn’t be the best thing. This can drop your score for the short term so remember when you are making your application apply to one place. By using our online application, Monevo’s technology will assess which lender’s offers may be suitable for you depending on what you have entered into the application form. We and Monevo will not perform a search on your file, so you’re safe applying through us. Please bear in mind that the lender will perform a search on your credit file before finalising your loan offer. Should I borrow from my bank? There is no reason why you should not borrow directly from your bank. The problem most people tend to find with their local bank is the lending criteria that they follow may be strict. Banks may be less likely to lend to subprime customers for example so if you have a credit profile that is less than perfect you may need to search for alternatives. This varies between individual lenders. Before you take out a loan, please consider whether you can afford each and every repayment as not all lenders may offer payment holidays. I’m sure like most people your starting to hear this term pop up all the time now. Peer-to-Peer lending is one of the biggest growth products in the finance industry over the last few years. The only real difference is this method allows you to borrow money from private lenders or groups of lenders through recognised Peer to Peer websites. How does this compare to a loans well there very similar in how they work. Like an long term loan uk you will find they have the same principles the only real difference is this method allows you to borrow money from private lenders or groups of lenders through recognised P2P sites. Don't all loan providers charge the same? No, they don’t as they all have different criteria, and their loan and credit products will be aimed at different types of customers, for example prime or sub-prime. One of the other reasons rates vary is they are based on your credit score and creditworthiness. This basically tells the lender of your past history and if they can expect to get the money back in a timely manner, if they feel it’s going to be a problem they will reflect this in the amount of interest they will charge you for the loan. What sort of personal information do you need? Our form just asks for some basic information such as personal information, address, employment details and the amount you intend to borrow, this is enough for Monevo to find you the most suitable loan provider for your needs, based on the information you have entered into your application form. Once you are matched with a lender you may be required to submit additional information and/or produce proof of income depending on the amount you are looking to borrow. Guarantors can be used for long term loans. These type of financial products are referred to as guarantor loans.. The guarantor themselves will stay on the agreement for the whole duration and cover any payments you can’t make. This method is mainly used for people with poor credit and will often be the only way to receive a long term loan if you have really poor credit. Can I buy a car with my long term loan? Can I apply for a top up? This is another very common question when it comes to people applying for finance. Before applying for your initial loan, it may be a good idea to think about whether a loan is a good idea, if you are struggling financially. If you are struggling with repayments, you may be better off seeking advice or help from the Citizens Advice Bureau or a debt charity. If you cannot afford to repay the original loan and that is why you are looking for a top up, please speak to your lender directly. A secured loan is a very different thing to a normal unsecured loan. The difference is that it is secured against your property. This does come with some added benefits, normally this will result in a better interest rate as the lender can feel secure in the knowledge that they are going to get their money back. The major downside of a secured loan is that the loan is secured on your home, so you could lose your home if you cannot keep up your repayments. Some loans can also have variable interest rates, meaning your repayments could increase. Make sure you know if the rate is fixed or variable before applying for a secured loan. Is a Logbook Loan the same as a secured loan? People tend to get confused about what one actually is! No, a logbook loan is when you secure the value of the loan against your vehicle thus reducing the lender’s risk. You need to be the legal owner of the vehicle, usually with a value over £500 and with no finance outstanding on it. Please note; failure to pay the instalments as agreed in your contract will result in the loss of your vehicle. What if I cant pay back on time? To apply for a loan with any lender there is normally minimum criteria. Usually you will need to be a UK resident, at least 18 years of age, be in regular receipt of income and have a valid UK bank account. Being unemployed isn’t necessarily the end of the world when it comes to your application, some lenders happily lend to unemployed or low earning costumers. There are many options for people without employment, you can still find the finance plan that suits you best. One thing you should probably note they normally have slightly higher interest amounts which might not be approved by lenders as this will put you in financial strain. Lenders will not accept candidates that they believe will be unable to make the repayments safely.